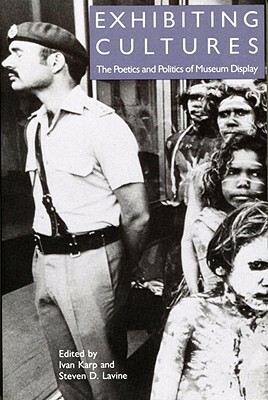 This anthology examines the political implications inherent in the cultural assumptions, aesthetic values, and exhibitory contexts that are implicit in the choices governing the display of art and artifacts, with museums as intermediaries between the makers/users of artifacts and exhibit viewers. The book emphasizes the need for contributions from exhibited cultures, deeper expertise in non-Western and minority culture, and experimental exhibition design that allows for multiple perspectives and a metacritical admission of the curator’s agency. Will change the way you attend musuems. Once you start thinking about the challenge of educating crowds who only kinda came to learn you will relish the questioning of every choice made by curators. Why IS the bathroom sign that style/size? Can this exhibit be experienced in the reverse direction and still make sense? How do I personally take in information in an exhibit setting? Why did/didn't they put a place to sit down in this area? A textbook. but a good one. The one article that made this more than a college textbook was "Why Museums Made Me Sad." I do have concerns that pillage might be our irreparable destiny, and museums do put that on display however wonderfully. Very interesting the view of the contributors of this book. I thinks all of them share the same view. and are based in the recents trend of the cultures studies in the USA academies. I'll definitely use this book for references in graduate school. it's a series of essays on museum displays. quite interesting, shame i couldn't read more of them, but the book is due at the library.